The condensed version of the exhibit requires only 2,000 to 3,000 square feet. 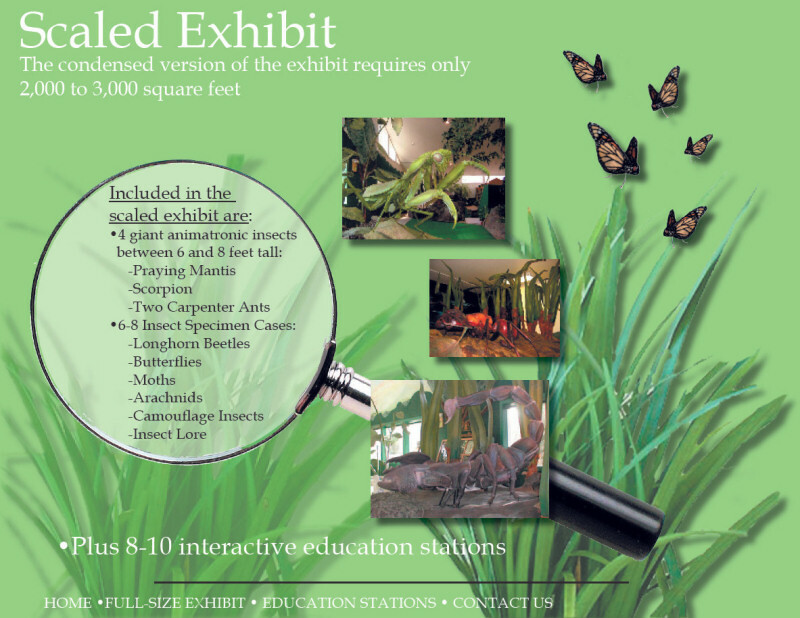 Included in the scaled exhibit are: 4 giant animatronic insects between 6 and 8 feet tall: Praying Mantis, Scorpion, Two Capenter Ants. 6-8 Insect Specimen Cases: Longhorn Beetles, Butterfiles, Moths, Arachnids, Camouflage Insects, Insect Lore.